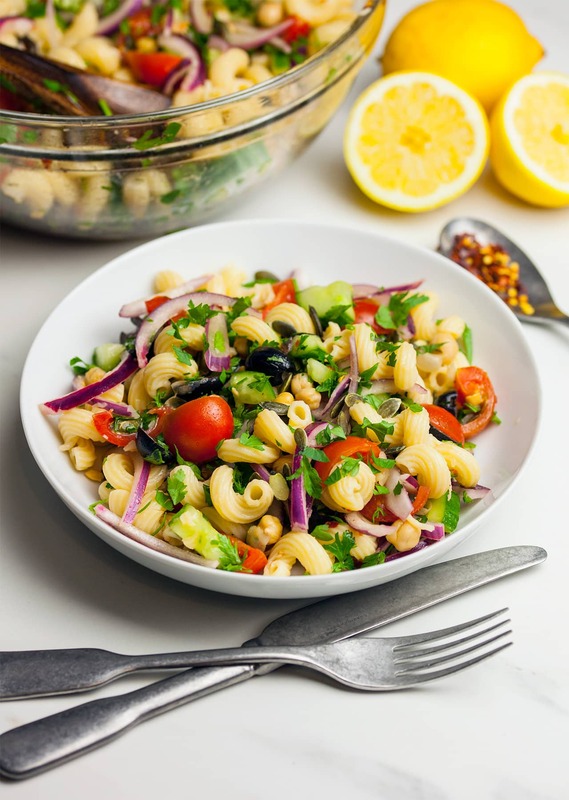 This really is an awesome pasta salad. It has a bit of everything; it’s zesty, tangy, slightly sweet and there’s a lovely kick from the chilli flakes. But better still, this recipe will only take you 15 minutes to prepare. Not bad, right? This one of our go-to meals after a busy day in the So Vegan HQ. It takes almost no time at all, and it simply never gets boring. Bring a saucepan of water to the boil and cook the pasta as per the packet instructions. Meanwhile, transfer the sunflower seeds to a frying pan on a medium heat and toast them for 5 minutes or until the seeds start to crackle. 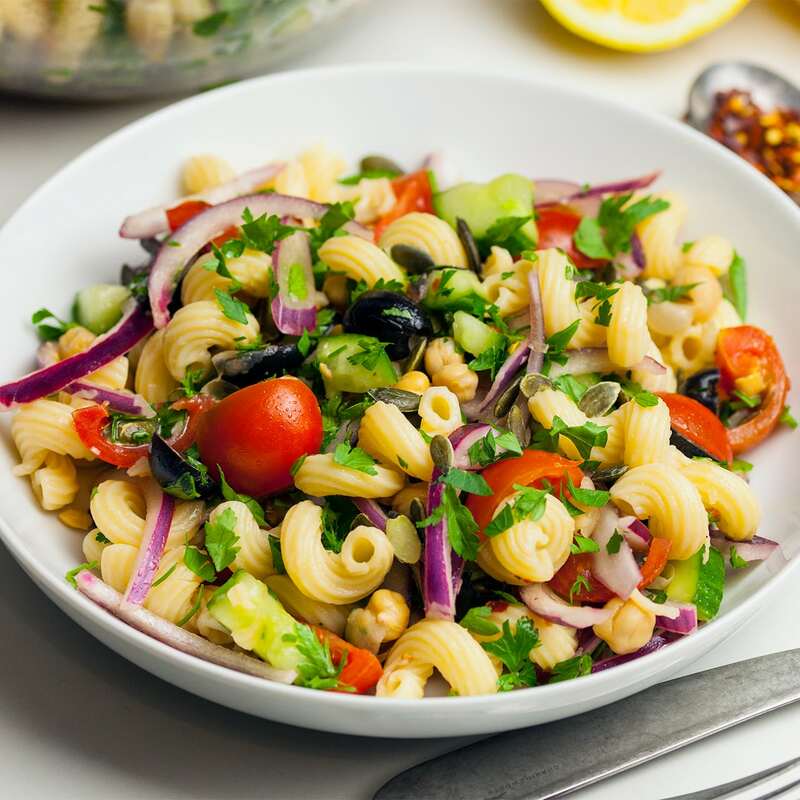 Remove the skin and thinly slice the red onion, dice the cucumber, quarter the cherry tomatoes, drain and rinse the chickpeas, finely chop the parsley, then remove the pits and halve the olives. Add all these ingredients to a mixing bowl, along with the toasted sunflower seeds. Then prepare the dressing by mixing all the ingredients together in a small bowl. Drain the pasta, run cold water through it, then transfer the pasta to the mixing bowl and pour the dressing on top. Stir the pasta salad well to combine. Serve with a sprinkling of parsley and any leftover sunflower seeds. Hi there, saw this video today and made it straight away… It is soooooooo YUMMYLICIOUS Thank you very much!!! Tried it today, very filling and delicious. How many calories does this recipe contain?